These modern, self-catering apartments in North Hamburg are a direct underground ride from Hamburg Trade Fair and the city centre. Free Wi-Fi and kitchens are provided. 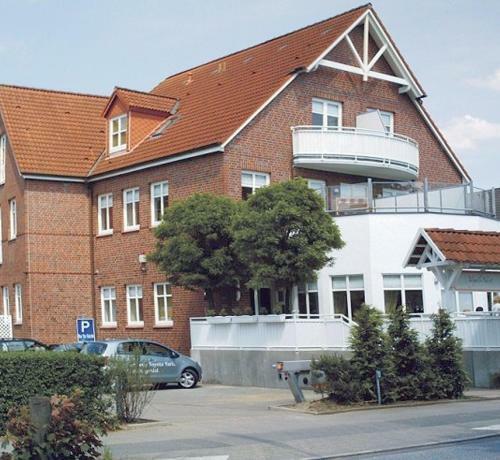 The Vogels-Nest Boardinghouse Niendorf offers comfortably furnished apartments with flat-screen TVs and DVD players. A tumble dryer and ironing facilities are available on the basement-level floor. You will also find a gym, sauna and solarium here. The Vogels-Nest is located close to many shops, where you can buy your daily groceries. Free parking is available on site, and Niendorf Nord Underground Station is just 50 metres away. Guests are kindly requested to contact the Boardinghouse 1 day in advance, in order to arrange check in. Contact details can be found on the booking confirmation. Full payment is due on arrival. Guests are kindly asked to pay € 40 upon check-in as deposit for keys and use of the garage, which provides safe parking. This will be reimbursed when checking out.